Are you looking for information on Maryland Medicare Supplemental Insurance Plans? If so, you’ve come to the right place. Medicare supplements are also known as Medigap plans. They are insurance plans that are regulated by the government. Medigap plans are standardized. What does a standardized plan mean? This simply means that when you purchase a particular Medicare Supplement Plan, like Medigap Plan G, it will provide you the same exact coverage no matter which company you choose. That’s right. Your Medicare coverage is the same no matter if it’s Blue Cross Blue Shield, Mutual of Omaha, Equitable, AARP or any other Medigap company. It’s the LAW! The question remains: How much will you pay for your Maryland Medicare Supplement Insurance? You’re not getting more benefits by paying more. What are your potential savings? Plan G premiums with ABC insurance company can be very different from XYZ insurance company. Remember, the benefits are the same even if the premiums are different. We calculated sample quotes from multiple states to show you what the lowest and highest rates are for a 65 year old (non tobacco) male shopping for a Medigap Plan G.
Those savings are huge… That’s an annual savings of $744! Again, these Plan G savings all come with the same benefits. Since the benefits are the same, the only difference from each company is PRICE! Let’s look at Medigap and compare it to an everyday purchase. Think of Medigap plans like buying gas. The quality of regular unleaded gasoline (Plan G) is the same at every gas station. However, gasoline may have different prices from multiple gas stations in your town. You probably buy the least expensive premium gas because it’s the same regardless of which station you buy it from. This is how Medigap works. If you want to purchase a Plan G, shop your Plan G with all the companies in your Zip Code. If you are shopping for Plan N, shop all Plan N plans in your Zip Code. Plan G benefits are the exact same no matter what company you choose. This applies to all Medigap plan letters. You do not get better benefits by selecting a big or small insurance company. Price comparison shopping is extremely important. You must make sure that you are not spending more than you have to for the exact same Maryland Medicare Supplement Insurance Coverage. It is important to know that even though the coverage for Maryland Medicare Supplement Plans are the same, the rates are not. You need to compare the plan letters from company to company. For example, compare Medicare Supplement Plan G from multiple companies. Medicare Supplement Insurance Plan premium prices are different when comparing Maryland Medicare Supplement Insurance Companies. 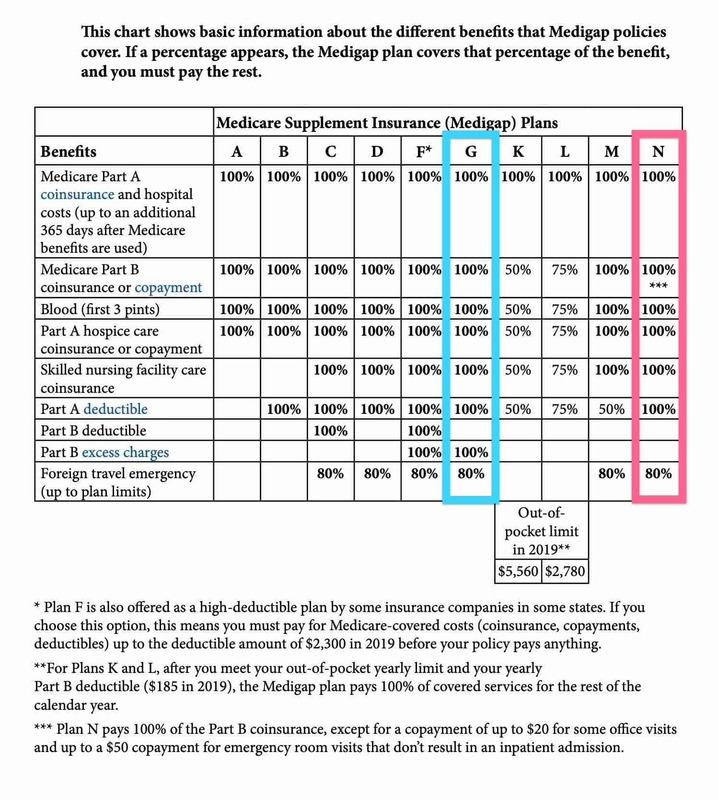 The Medigap lettered plans (Plan G for example) are standardized. This is a safety net put in place by CMS (Centers for Medicare and Medicaid Services) to protect you. Insurance companies, by law, can’t make any changes to standardized Medigap benefits. Our service is free. We help Maryland Medicare Insurance beneficiaries who are new to Medicare or already using Medicare. If you have a Medigap plan, we can review your coverage and find lower rates to save you money on the same exact plan. We are independent agents who shop the entire market and offer you choices. We’re not bound to any insurance company. We don’t work for the Medicare Supplement companies. We work for you. We’ll find you the absolute highest value with your Medicare Supplement coverage by shopping all of the insurance companies that offer Maryland Medigap coverage. Be an informed buyer and comparison shop your Maryland Medicare Supplement Insurance plans and rates. Just click here to request a quote or call us at (888) 411-1329 for personal service. Are you wondering if I can help you lower your Medicare Supplement costs? I can! Below are the cities in Maryland that I serve. Click here if you’re looking for other Medicare Supplement states.